Castrol EDGE 5W-40 provides outstanding wear protection in high performance engines designed to run at their optimum level on lower viscosity oils. 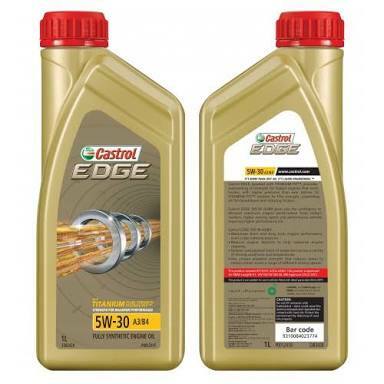 Castrol EDGE 5W-40 should be used in engines where maximum efficiency and protection is demanded. Castrol EDGE 5W-40 gives you the confidence to demand maximum engine performance from today’s performance engines that operate at higher temperatures with tighter tolerances, requiring lower viscosity oils. 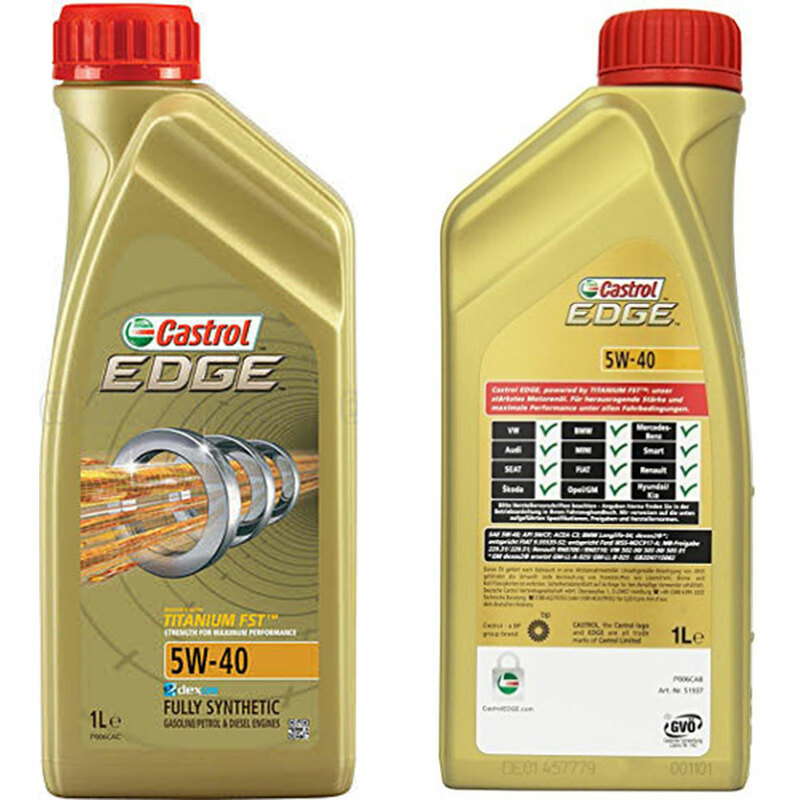 Castrol EDGE 5W-40 is proven in tests to deliver outstanding oil strength. The exceptional characteristics of Castrol EDGE 5W-40 ensure that all engine components, from the valve train to the bearings are fully lubricated to provide optimum engine performance and protection. Delivers unsurpassed levels of protection across a variety of driving conditions and temperatures providing maximum short and long term engine performance. Superior thermal stability ensures minimal breakdown in formulation and minimal engine deposits for cleaner engine internals and ultimate engine protection. Reduces engine deposits to help maximise engine response & improves engine efficiency. Helps engines run cooler, contributing to longer engine life and reduces engine deposits to help maximise engine response. Engineered to minimise oil consumption, ensuring the maximum potential is available from the oil throughout the service interval. Exceptional flow characteristics in low ambient temperatures ensure engine protection from the first moments of ignition, minimising wear and damage. Excellent light duty diesel engine performance; suits modern direct injection engines without DPF.